The phrase "deadbeat dad" is a familiar one, and yet it's often misused. While the word "deadbeat" actually appears in some states' child support guidelines, not all parents who've fallen behind on child support payments are willfully refusing to support their children financially. Furthermore, unpaid child support can also be attributed to women. What's more important than labels is dealing with the actual issue. Here's what to do if you've been called a "deadbeat dad" or if you're trying to recoup unpaid child support on behalf of your children. What Is a "Deadbeat Dad" or "Deadbeat Mom"? When a parent is ordered by the court to pay regular child support, yet fails to do so over and over again, he or she is commonly referred to as a "deadbeat parent." This pejorative term is used the actual legislation of some states, and it is often misunderstood. Parents who fall behind on child support due to job loss or unforeseen circumstances aren't necessarily "deadbeats." The term deadbeat is generally reserved for those who have the means to pay but choose not to. Parents who want to support their children, but are legitimately unable to pay may be eligible for child support modification. "Deadbeat parents" and "deadbeat dads" are not synonymous. 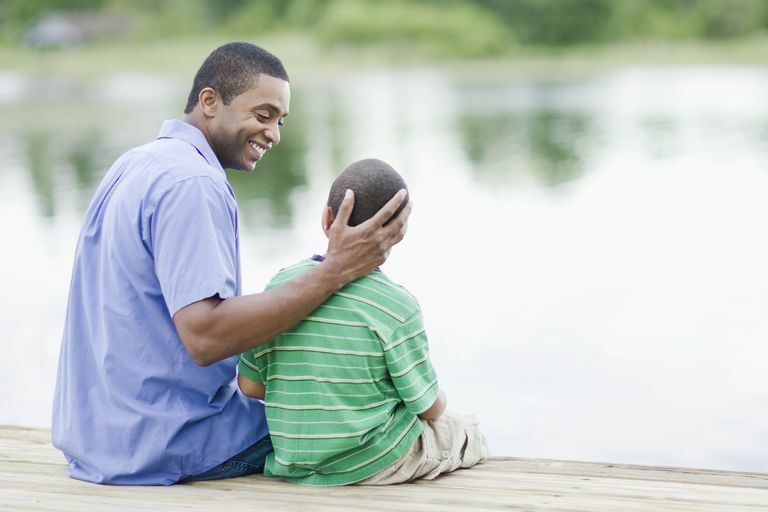 Not all deadbeat parents are fathers, and not all non-custodial fathers are neglectfully behind on child support. In fact, there are plenty of moms who have been ordered to pay child support yet fail to do so on a regular basis as you can see from jurisdictions that publish lists of their most-wanted deadbeat parents. Yet, statistically, it is true that larger numbers of men are ordered to pay child support than women. So it stands to reason that, statistically, more fathers would also fall behind on child support payments than mothers. However, one cannot examine the issue of unpaid child support without recognizing that there are both men and women who've let child support go unpaid. So while the label is often attributed to fathers, it's not just a men's issue. If your ex currently owes your children back child support payments, contact your local Child Support Enforcement Office and file a report. Be prepared to provide details about the missing payments, including dates and dollar amounts, as well as any information you have about your ex's last known address. Some parents who find themselves in arrears simply do not have the money to pay child support payments. In some cases, payments may need to be adjusted to reflect the individual's most current earnings. In other cases, the parent owes so much child support that the money will simply never be paid in full. To address this concern, some states have begun to offer child support amnesty programs where the accumulated fines associates with unpaid child support can be reduced while the parent begins to make back payments. Many parents get frustrated and start to wonder if they should refuse visitation in order to make a point. However, to the courts, child support and child custody are two different issues. In the eyes of the law, the parent who owes back child support payments still has the right to visit with the child. Therefore, any parent who is in distress over missing child support payments should take the steps outlined above instead of withholding visitations. Refusing to allow your child to visit with your co-parent because he or she has unpaid child support could jeopardize your good standing with the courts.